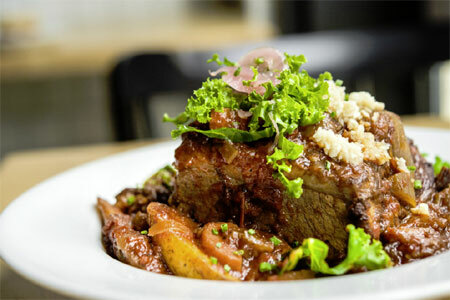 This Chelsea eatery's fusion-free Yankee fare will win over the most cosmopolitan taste buds. : In the 19th century, cookshops were cozy spots in private homes where travelers and locals could get a warm meal. 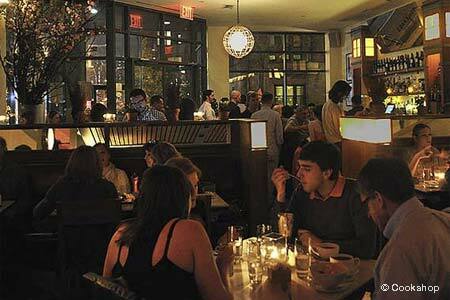 Though this chic eatery, located on Manhattan's burgeoning Tenth Avenue restaurant row, is a far cry from that era, it does fulfill its purpose quite well. The restaurant is the love child of Marc Meyer, Chris Paraskevaides and Vicki Freeman, the trio behind the winning remedy at Vic's. The menu, which changes seasonally, is filled with refreshingly fusion-free American dishes. Grilled Berkshire pork chop comes with spiced sweet potato purée; or go for the seafood stew and spit-roasted chicken. A wine list and full bar are available. The sleek, somewhat bare ambience of the place doesn't exactly scream home, but with lots of varnished oak (including on the ceiling) and large picture windows looking out onto Tenth Avenue, it's easy to settle in for a long night.